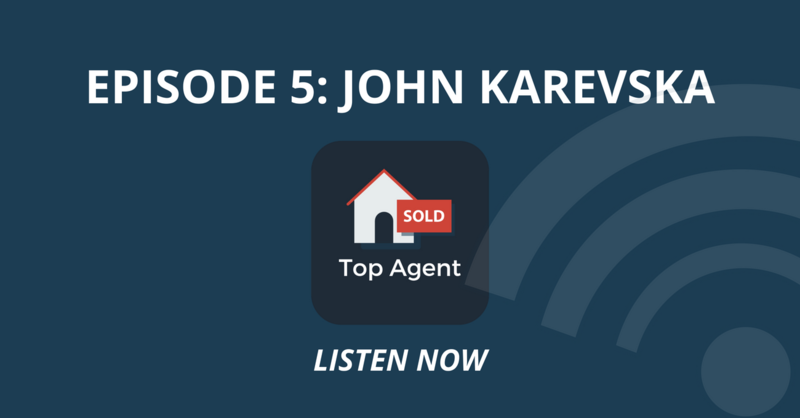 In today’s podcast, Kosta interviews Theresa Baird, a real estate broker in Mississauga, Ontario. 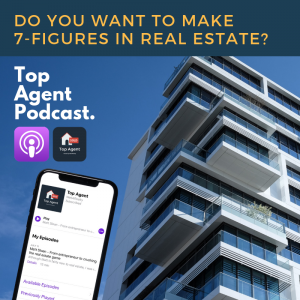 As a top agent, Theresa has a long track record of success in the industry, having received multiple awards from Re/Max, and Keller Williams as a top producer. With three older brothers, nine cousins and six aunts working in real estate, it seems as if Theresa was destined to be a real estate agent. 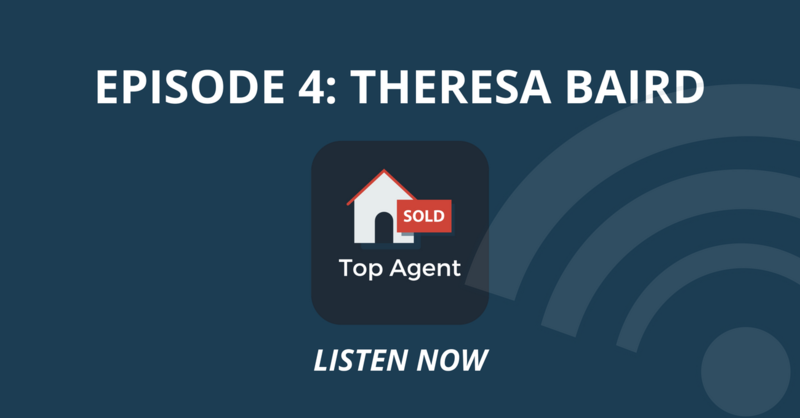 Theresa attributes a significant part of her success as a real estate agent to her sales background. She understood that to be successful, she needed to consistently prospect for clients, and focus on expanding her circle of influence. But no matter how good you are at pitching your services, your clients won’t stick around if you don’t provide a good service. That’s why she stresses the need to work hard and surpass your clients’ expectations. During the interview, Kosta and Theresa talk about the way technology continues to change the way we do real estate. Alongside A.I. and chain block, there’s also E-signatures and virtual staging. E-signatures have simplified investing in international real estate, by making it easy for buyers and sellers to close deals online, without ever meeting in person. Virtual staging allows seller’s agents to take photos of an empty house, and add virtual furniture, in order to help buyers visualize themselves living in the property. Using virtual staging, buyers can even add their own furniture and family photos into the picture, leaving no room for error when deciding the way their home will look. Theresa also goes on to talk about the 62 properties she sold in the last twelve months, and how important it was to choose the right area to prospect in. 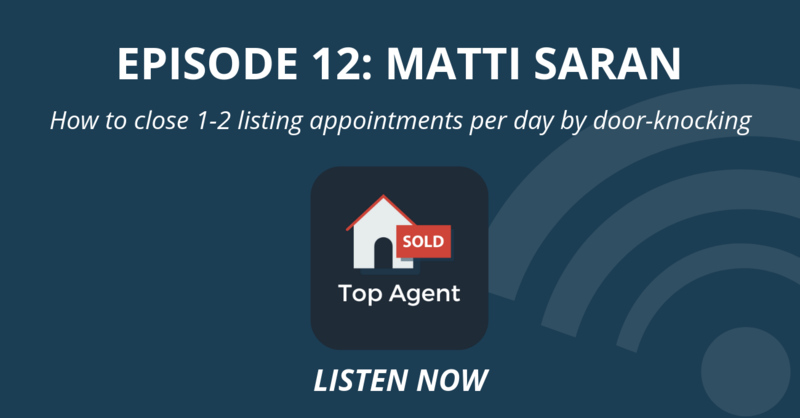 If you’re looking for an insight on becoming a top producer yourself, do yourself a favor and check out today’s podcast, or read the transcript below. You really owe it to yourself this time. Kosta: Theresa, thank you so much for taking the time to, uh, you know, to set aside and speak to me. I was very excited for this call. Theresa: Well, fantastic. I look forward to doing this with you. Kosta: Amazing. So for those listening who don’t know who Theresa Baird is, do you mind just sharing a bit about your story and background and how you got to where you are today? Theresa: Oh, absolutely. I’ve been in real estate now for 18 years. I got into real estate because I have three older brothers and real estate, nine cousins and I had six aunts in real estate, so it was something that really was in the family and that was one of the last in our family to get into it, but I don’t know why it took so long, but it’s an industry that I absolutely love and, uh, had the opportunity to work with some pretty awesome clients. Kosta: That’s perfect. Thank you so much for sharing that. You also have a very long list of credentials and awards. Almost too long to list a, as with any successes in business though, nothing comes easy. I’m sure you can agree. Uh, what are some of the biggest challenges you’ve had to overcome as a realtor over the last 18 years that helped get you to where you are today in your business? Theresa: Well, I think the most important thing, I was very lucky because I came from a sales background and that sales background help me understand that every day you are, you are out looking for the next client. And I think that’s the hardest thing for most people. They come from different industries into real estate and they don’t realize how difficult that sometimes can be now. I think one of the challenges for me is I really wasn’t totally interested in knocking on the doors and pounding the phones. So what I took to was networking and I just loved the power of being able to connect with as many people as possible and really try to work to develop a referral network, um, develop clients and then work with them to ask for referrals. If you did a great job, they gladly give it to you. So I’ve been very blessed over the years to work really hard to earn those, um, but really have worked hard to develop the relationship with all the other realtors so I can put great transactions together so that the real, the referrals will follow that. Kosta: That’s great advice. Um, you know, being such a seasoned real estate agent, and you touched on a few, uh, you know, very important points I think, and I’m sure you’ve seen so many effective advertising and marketing strategies that have sort of come and gone in the business. What are some of your favorite marketing strategies that are giving you the most ROI that you can share with our audience? I know you touched upon a networking and referral marketing, uh, but if you can maybe elaborate on some of those points. Theresa: Yeah, absolutely. One of the things that I absolutely do and find very successful for me is farming particular areas. So if realtors are looking for that, um, some of the things that will really get them ingrained in a neighborhood, that’s something that I have done for a long time and totally does work well for me. So we do a little bit of magazine Advertising, I do some newspaper articles, so every month I write for two newspapers and I do an article that I really think will have value to the community. It touches on real estate and sometimes it just touches on other things that are just beneficial things that they could do to bring more value to their home. The networking though again is absolute key and what I’m really working on now that’s really quite exciting for me is a new program called selling stay. Theresa: So we’re working on a niche and I have a business partner in this and her name is Saskia wineguard. She created the program a number of years ago and then sought me out about three and a half years ago. So we’ve partnered up and we’ve now a trademark. Our whole concept in Canada and the US and basically what it is is a sale and lease back program. Now. We started off individually with this program to help our clients, particularly seniors, people who were really. I’m house rich but cash flow flow kind of poor. And they were looking for an alternative to a reverse mortgage. So we worked at a lot of transactions with this and it became so successful that we couldn’t do all the business on our own. So we actually went out and networked again through our agent network. And we trained a number of realtors to help us in the Ontario marketplace. Theresa: Now, most excitingly, we been so successful doing this. That’s asking. 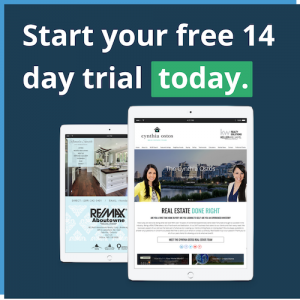 I have developed a complete online training program so that we can take, again, it’s the networking we can take and share this whole concept with realtors across North America. So we’ll be launching that program in the next 30 days. And, uh, that’s going to give us an opportunity to not only help our current clients that we’re working with, but also help our clients regardless of where they are. And I’ll give you an example when I kind of say that it’s, it’s unique. We have a number of of clients that live in the Mississauga area and they’re snowbirds and they have properties in Florida and they’re at that age in their eighties where they’re saying, I still want to go down, but I really want to make sure that I get my mistake cleared because you never know for health reasons why something might happen. So what we’ve done that’s been quite is to be able to list their property, bringing investor, buy it for them and then lease it back to them so they still get to go for the next couple of years. Kosta: Wow. That is truly a great concept. So it is a program launched yet or? Theresa: Yeah, well we’ve been doing. We’ve been selling and stay. We’ve sold a number of properties over the last five years in, in the Ontario marketplace, but the online training course for any realtor that will be launching within the next 30 years. Kosta: Okay. Got It. So the online training courses for about 30 days away, but the second state program has been up and running. Perfect. I’m going to definitely share this information in the show notes and I think it’s such a great concept as sellers, investors and realtors can get a lot of great value out of A. I think there’s also a huge market for something like this, especially in Canada with snowbirds wanting to escape the winter. So yeah, great concept. Thanks for sharing that. Theresa: And, and the other part here, when we talk about networking, it’s not just working with a, uh, your client or just another realtor and a transaction. There’s typically a financial planner and there’s usually a mortgage broker and even a lawyer involved in the transaction. So we’ve actually created a complete, uh, we, we have our own online app too, which is pretty awesome. But we’ve completed, completed A. I’m at a complete network for all of those people to work together and to refer to each other across North America. So not only do we have the training program for the realtors, but we have the training program for financial planners, mortgage brokers and lawyers as well. So all of that will be coming out. All of those programs will be coming out in the next three months, and the one part we’re most excited about is the launch of the first one, which is actually called nine to five realtor, so that’s the first program or a second one’s going to be called seven niches to riches, and the third one is going to be a full designation course. So we’re really excited about that. Kosta: Sounds incredible. This is a real awesome stuff. I can’t wait to learn more about this and actually see it gained some traction with realtors. A very exciting stuff. This is actually a great segue into the next question I wanted to ask you. I’m very curious to hear how you see technology changing real estate professionals in the next five to 10 years. Uh, besides all the great technology and applications you’re currently working on. Theresa: It’ll completely change real estate the last couple of years with the introduction of all of the online signatures, e-signatures, that changed a lot of the, of what realtors could do and where they had to be. So transactions can happen globally now and people don’t have to be in the particular locations. That gave us the opportunity to be able to set this up to and to realize that we have a network that’s, that will truly go global. Some of the investors we have in the program or overseas, we’re focusing on North America, but we’ll be able to take this program and take it all around the world eventually. But the technology is what’s gonna allow that to happen. So realtors need to have a used to be, had to have your own, just your own website, right. And you had to have a good one because the ones who did a lousy job at that didn’t get many opportunities from it. Theresa: Yeah, it’s a technology where we actually get to pick and choose the style of what will go in a home, uh, from a furniture perspective. So our professional photographer takes photos of the rooms, completely empty exactly the same way they would at the property was furnished and they take it from multiple angles and then we bring in the styling of furniture that we feel best suits the hall and create a full virtual appeal. And then we have the photographs printed and we have them placed within the home so people can actually visualize their furniture in the empty space, but they can also visualize a concept of how a room can be set up. Kosta: Yeah. That’s awesome. Is there an APP for that? Theresa: Yes, there is. Do you want to share what I mean? Not yet. People can connect with me. We, we, we love to share those apps with and I will share it with you personally, but we love to share the apps with people that work in connect with us. That’s all a part of the value that we give within the network. So Annie realtor that’s totally interested in understanding and learn that I will always share. Kosta: Amazing. Perfect. I’m also, so I’m a numbers guy. I love getting into revenue, commissions on margins, all that fun stuff. Are you able to share with our audience how many transactions you’ve closed in the last year or expect to close? Theresa: It’s in the next 12 months. Yeah, last year I sold 62 properties, so. And that was great. I did a number of, um, multiple representation transactions. I did some leases that were in there and I sold an awful lot of homes. Now I work basically in partnership with Saskia on the solid state properties and then I work on my own, on the other properties and I just have one full time assistant that works for me. Kosta: Wow, that’s great. Thank you so much for sharing that. Definitely some big time numbers. I love that they do have a question, and sorry to backtrack a bit, but does it relate to sales and marketing, uh, regarding farming particular areas? How would you go about selecting which area to farm? Would it be where you live, where you grew up, for example? Do you mind sharing just some more insight on that topic? Theresa: Yeah, yeah, that’s kind of a personal thing because it’s very interesting. I live in Lauren Park at my area that I choose to chose farm was actually in port credit and my husband said, why don’t you want to sell the house down the street and farm the area here? And I said because I like port credit and I feel that there’s actually a little bit more turn in that particular area because I did the research on, um, the areas that I felt would be faster turning because if I send a mailer out and nobody was going to move for two years, I felt that it wasn’t going to get a great return on investment. And to me that’s one of the most important things. So I found some areas that I felt were right for new listings to come on the market and uh, I actually chose right now after a number of years, I started to act absolutely far my own neighborhood and I’ve sold actually the neighbors on both sides of me I sold within the last year. Kosta: Oh, nice. Okay. Makes Sense. Good advice. I’m like, I want to be mindful of your time. Teresa, I like to wrap up each interview with what I call the top three. So number one, your top real estate or business book. Theresa: Well, I’m a little partial to this one at the moment. You may get a chuckle out of it. A SASKIA and I have just published a book and it’s called should we sell or should we stay? So I’m a little partial to that one right now and I’ll absolutely send you a copy of. Maybe you could share that around as well. Uh, but that’s one. And the second one that I’m very near and dear to as well is, uh, Brian Buffini work by referral. That was one of the books that really did do a lot for me. Kosta: Wow. Congratulations. That’s amazing. I’ll definitely be adding that to my reading list. Number two, your favorite vacation spot. Theresa: Well, okay. Again, I’m a little partial this. I just came back from Florida yesterday. I took my 10 year old grandson down. I’ve purchased a property on the Naples, a Benita spring border and uh, so I’m a little partial to southwest Florida right now because I’ll tell you after the winter that we just had, it’s an awesome spot to go to and I know that I can connect with a number of realtors down there and help a lot of Canadian snowbirds. Buy Real estate in Florida. Kind of partial right now to southwest Florida. Kosta: I haven’t been to Naples. I had been to Sarasota Siesta key on the Gulf coast. They’re absolutely beautiful. Theresa: On that same coast and we’re just a little further south so. So you’ll be welcome to come down because I’m going to have some pretty cool and stay listings down there. And if you ever think that you’d like to rent her or try out the area, I’ve got the realtor connections now to make all that happen. Kosta: Thank you. I will most definitely keep that in mind. And finally, number three, if you can go back in time, what do you wish your 20 year old self knew? Theresa: Well, I think the most important thing, if I actually had started at 20 in real estate, I didn’t start until I was 38 and real estate. So, uh, and so that you can do the math there, but uh, but, uh, I would have started earlier, number one and I would have bought four or five investment properties right off the bat would have been the best thing that could have, could have done. And I did get my broker’s license right away. I would have actually opened up an office and run one sooner. Kosta: Okay. Great Advice. And if people want to get ahold of you or reach out, where can they find you? I know I mentioned I’m an ad, you know, a lot of those, uh, your website and apps on, in the show notes. But just in general, where, where’s the best place? Theresa: People can reach out? Well, one of the things I do pride myself on being very successful for as I’m a realtor actually picks up their phone so anybody can call me directly on my cell, which is six, four, seven, two, nine, eight, zero, nine, nine, seven. Or I do have a direct office number that goes right to my desk. Nine. Oh, five, two, seven, one five, one, two, five. Or of course on my website, tbaird.com. Kosta: Amazing. Perfect. Theresa. Thank you so much. I was a true pleasure connecting again and we should definitely do it again. Theresa: Well absolutely. And you’re not some person. I thank you for taking the time to interview me. He saw the best and that book is on its way to you. Awesome thing. I looked forward to it. Thank you. Okay, take care. Thank you. Bye. Bye.